Traffic down to one lane atthe scene of an accident between a truck and a van on the M18 motorway near the Tulla road junction. GARDAÍ are appealing for witnesses following a fatal collision on the M18 southbound between J12 and J13, Gort to Ennis Road this afternoon. 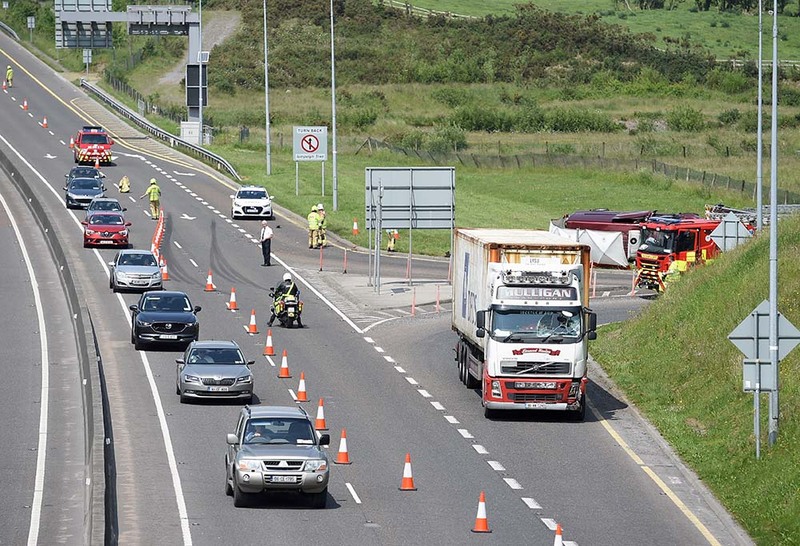 At approximately 1.20pm Gardaí and emergency services were called to the scene of a collision involving a truck and a car on the M18.